DMS Global – digital and marketing solutions. DMS Projects tracks over 20,000 projects in over 100 countries across 13 major sectors, making the DMS Projects Matrix the most accurate, encompassing and extensive resource for companies looking for new business opportunities anywhere. DMS Projects brings to you the latest information about future, on-going, and completing projects. Having this information at your fingertips will enable you to make informed business development decisions to give you the edge that you need in today’s competitive marketplace. 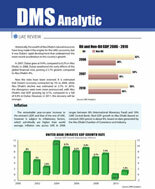 DMS Analytic is a bespoke industry research and Market-Entry consultancy service. We provide tailor-made economic research and analysis reports through strong relationships with prominent local businesses and our trusted local researchers. DMS Analytics’ Market-Entry Assistance Program is designed to create local partnerships and execute business strategies on your behalf. If you’re trying to set up a new business or build on an existing one, our Market-Entry Assistance Program is right for you. 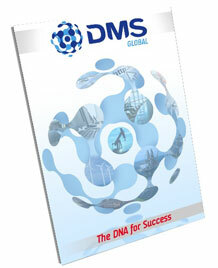 DMS Global’s customers want timely and relevant solutions to their industry problems; and we deliver just this. DMS Events brings to you the world’s only Industry Debates, enthralling High Society events, and tailored corporate functions for every occasion. DMS INSIGHT! Magazine is the strongest publication for industry exhibitions from around the world. With the circulation of over 10,000 active subscribers, this magazine is an excellent advertising platform for your marketing campaigns. DMS Insight! covers regional industry news, exhibition highlights, bespoke research reports from DMS Analytic, global project listings, company profiles and more.